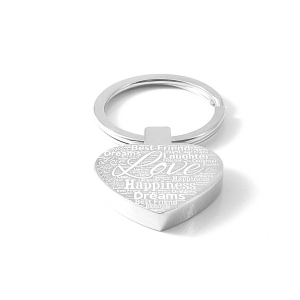 Purchase this product now and earn 150 Pickle Points! 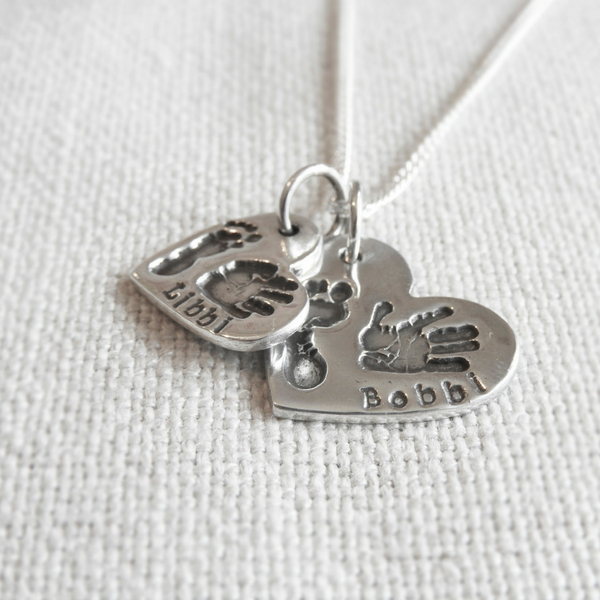 Our Double Cascading Hand & Footprint Pendant is a gorgeous way to display both handprints & footprints from two children. 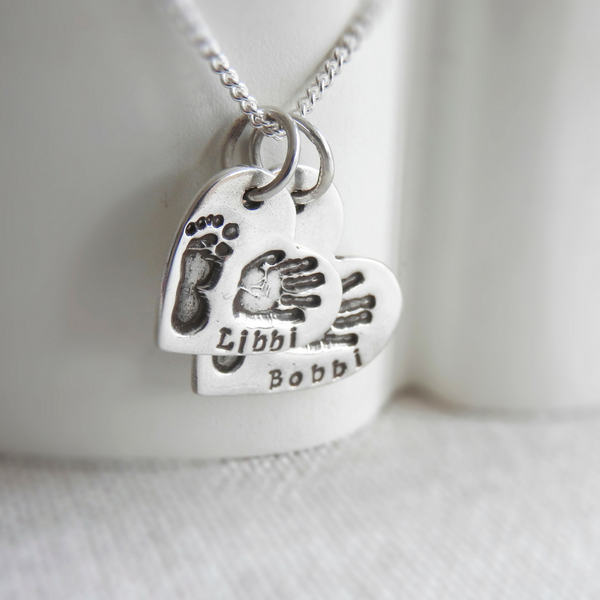 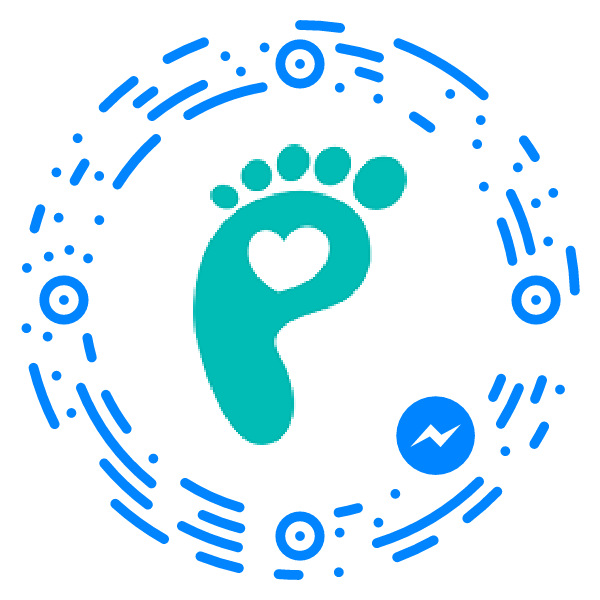 Our Double Cascading Hand & Footprint Pendant is a gorgeous way to display both hand & footprints from two children. 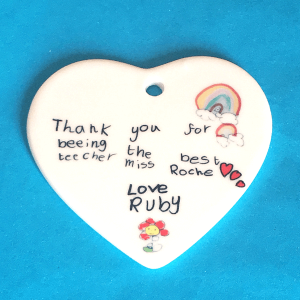 Designed to capture all of the detail of each unique print, these pendants are so special and a very popular choice. 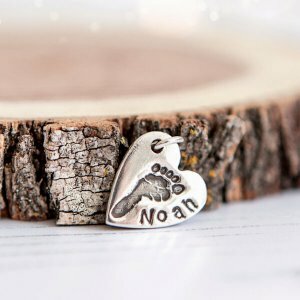 Charms are available in a selection of shapes and come complete with a chain, from which you can select from our range of different styles. 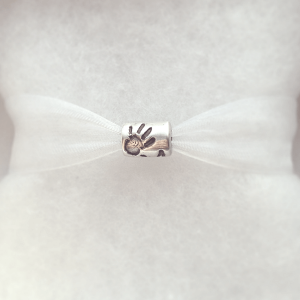 Made entirely by hand, each charm is polished to a high shine and is sent beautifully gift wrapped.